While garden ponds have been around for many years and generations have enjoyed them, the way they are created, designed and built changes with trends in design and taste in much the same way as any other industry. While garden ponds have been around for many years and generations have enjoyed them, the way they are created, designed and built changes with trends in design and taste in much the same way as any other industry. From square stone koi ponds to Japanese intricate styles, there are many trends in pond designs as there are in garden design. Whether it’s a small vase which pours water, or a larger waterfall cascading from a deck or patio, falling water features are a big trend this year. Fountains have long been a popular addition to ponds but for this year, it has to be cascading down and creating that wonderful waterfall sound to really hit the mark. 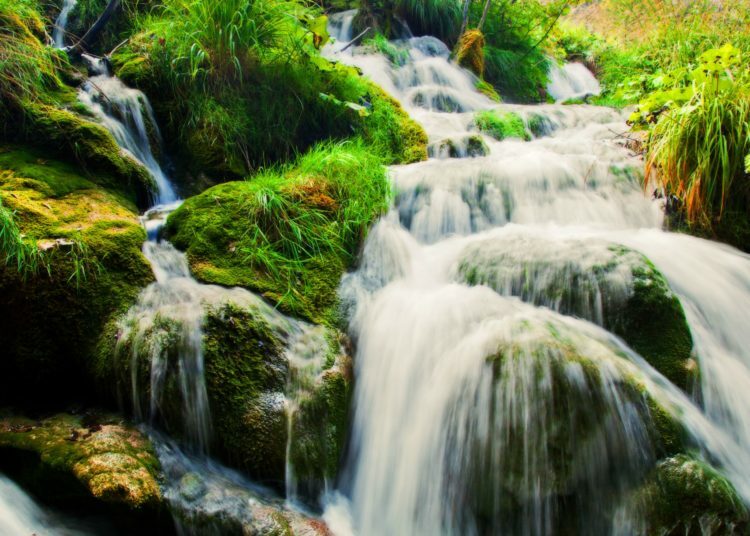 A waterfall which cascades into your pond can also help to keep the water aerated, it attracts wildlife and it is a very relaxing sound to sit and listen to while outside enjoying a sunny summers day reading a book. An increasing trend this year is having the ability to light up your pond and water features at night to make the most of them and to create an amazing environment to sit in and enjoy the peace and quiet of an evening. Night-lit ponds also make stunning backdrops if you are having an evening social gathering or barbecue in your garden and can become a key talking point for guests and visitors so why not get creative and deliver your own night light show? The trend for square harsh ponds has well and truly gone and this year sees an increase in popularity for a rounded edge, natural stones, or around boulders, to create a softer yet still natural looking pond area. Boulders in different types of stone, which are in scale with the pond, can create a really interesting landscape, perhaps opting for a couple of large, rounded feature stones to stand out and become a particular accent for the area. The new trend for 2019 is incorporating the pond as part of the house design rather than just finding a suitable patch in the garden for it. The important thing is for the house owner to be able to see the pond and hear the waterfall from inside the house as well as when they sit near it in the garden. Design needs to include this element, so people can just open a patio door to hear the sounds, and can sit and watch the waterfall from the comfort of their armchair, to really make the most of the pond whatever the weather, and turn it into a regular lifestyle element. While for many people digging a pond is just a case of digging a hole in the ground, this year sees the construction trends for ponds becoming more elaborate and more complicated – it’s not just digging a hole, it’s constructing a complete underwater landscape. 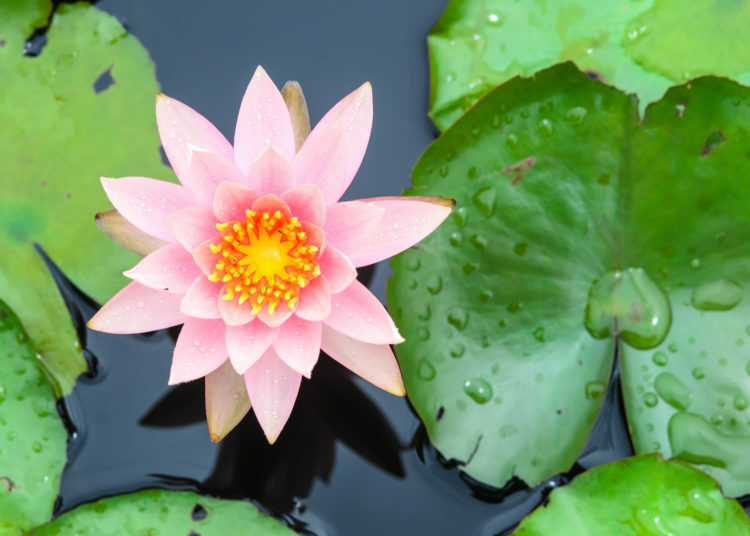 The construction side involves digging different level banks for different types of pond plants to grow in harmony within the pond as well as creating specific places for the filters, lights, and elements like waterfalls. It’s all about planning the pond out properly before work begins. Then once the water is added all of the elements are already in the perfect position and the pond really comes to life. A plain round hole in the ground will not cut it in 2019. As you can see, the key trends for 2019 focus around the construction and design of ponds including using a much more architectural approach through underwater landscaping, and taking into consideration the lifestyle of the house owner and how they want the pond to be included in their daily routine. It’s not just about digging a big hole in the garden anymore, it’s about creating a beautiful space which can not only support wildlife but will bring peace and tranquillity and add an aesthetically pleasing element to the overall property, not just the garden itself. And there is a new softness to the designs for this year, moving away from sharp angular edges too much softer, rounded stones, feature boulders, and different color rocks to create striking but still very natural looks for any size of the garden. The trend for night lighting means the pond still has a part to play in the evening social life of any house owner, becoming an active and visual element for family parties and barbecues. So the trends for 2019 see ponds very much becoming deliberately designed, integral elements for a family lifestyle and much more than just somewhere for the fish to live in.